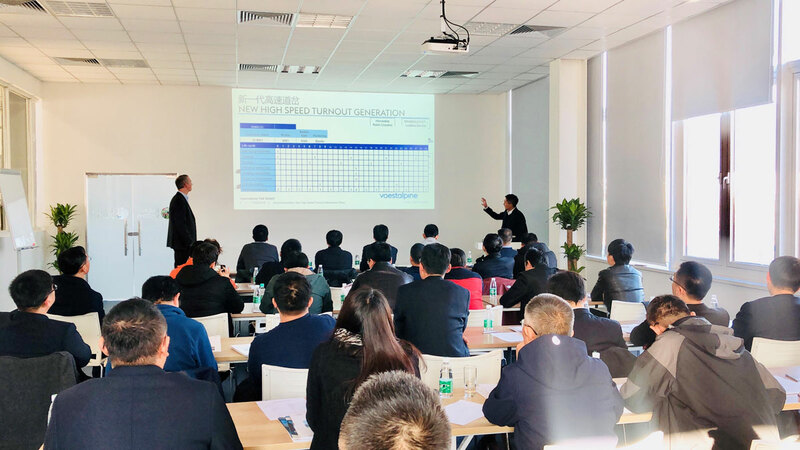 voestalpine Railway Systems together with CNTT Ltd. hosted the first HSR turnout forum for high level experts of China Railway PDL operators in WuQing in the End of 2018. The forum participants intensively discussed the requirements for HSR turnouts in China in future based on actual challenges and performance and visions of the future. China Railway Corporation (CRC) is already operating the world largest high-speed network which will reach a total length of 38,000 km within the next decade. "We are at the starting point of the next generation of High Speed Rail (HSR) turnouts in China." The HSR turnouts of the future will incorporate material and design innovations as well as innovative signaling and diagnostic equipment. However, not only product design makes voestalpine´s vision of lower costs of operation at increasing performance and safety possible. 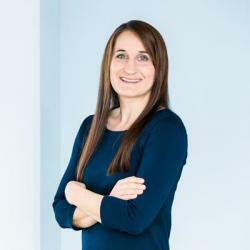 "To meet CRC’s requirement of continuous improving turnout performance and reduction of total costs of ownership, we are ready to contribute all our international experience to further strengthen the actual knowledge of the maintenance teams of the administration bureaus on-site." explained M. Graf, the Managing Director of voestalpine Railway Systems in China. 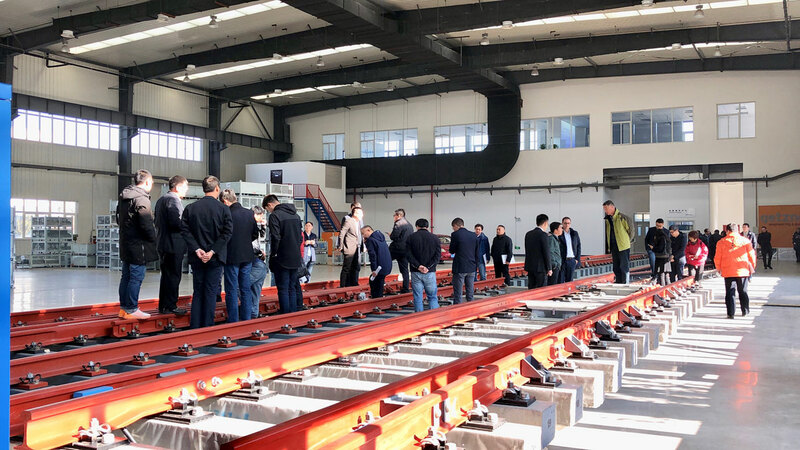 The forum therefore was held in the voestalpine Railway Academy near Beijing where discussions took place on real turnouts and signaling components form China and overseas.